Controlling pests can be very difficult and pose a giant hassle for a family. We want to help so that it won't be on your list of priorities. Your home deserves to be enjoyed to its full potential from spiders leaving unsightly webs on your eaves to ants invading your kitchen, let us handle it! There is no need to waste time and money traveling to the store to purchase products that cannot complete the job. In some cases, products from the stores will drive insects into wall voids resulting in the establishment of new nests and worse activity. Our treatment is designed to repel insects out of voids, cracks and crevices where insects hide and to develop a course of treatment that takes insects biology and habits into account. We then continue to prevent these pests from returning by using our organized treatment plan and our safe products. Safety and respecting the environment is our number one top priority. Not only will we take safety precautions when applying pest control but we are concerned about protecting your family from dangerous pests that may bite or carry diseases. 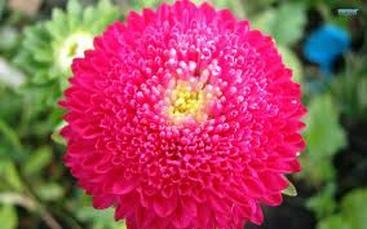 The more common products that we use are derived from the chrysanthemum flower. This tropical perennial plant native to Asia has very unique insecticidal properties. The seed cases in the flower called pyrethrins, attack the nervous systems of all insects and inhibit female mosquitoes from biting. Many products have been made with a similar chemical structure as pyrethrins and are mixed in an emulsion agent and organic solvent to help it from dissolving in water. This product will have a long-lasting effect of up to 2 months on the exterior of the home. Gray Wolf Pest Control will apply in areas where insects are hiding and are normally sheltered from the rain and sunlight. The sunlight is in fact what will degrade the product the fastest of all the elements that the product is exposed to. The Products coming from this plant are one of many tools that help us to strengthen our barrier around your home. No carcinogens have been found in these products and give off little to no odor. 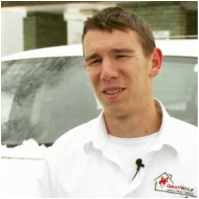 Gray Wolf Pest Control is a fully licensed and insured local business out of Amherstburg. We love the job we do and are always enhancing our knowledge by training and updating our techniques to perfect our success rate. Gray Wolf pest control has a great approach towards pest control that guarantees great results that you will enjoy, just give it a try! Gray Wolf Pest Control started business in 2015 as the first and original Gray Wolf Pest Control. 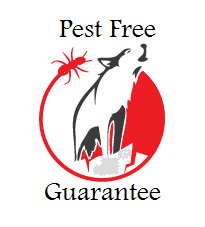 Gray Wolf Pest Control guarantees results. We manage your pests so you don't have to. If customers continue to experience unwanted insects that are covered in our program, we will re-treat the affected area(s) free of charge. We make sure to work with customers until they are satisfied.